1. YOU MUST BE A CHRISTIAN TO BE A MEMBER OF A LOCAL CHURCH. The word "membership" isn't found in the Bible, but 1 Cor. 12:27 shares that those who have trusted Christ, or are part of Christ's family, are members of His body. So here in our church, we take the time to formally recognize that reality in a person's life and acknowledge them as not only a member of Christ's family, but as an official member of our family. Off of the last point, we need to know that to be a member of a local church, you have to be a member of Jesus' family. Romans 12:5 talks about how we are in Christ and that means we are part of the universal church (everyone, from all time, who has ever trusted Jesus as their savior). Church membership shouldn't be based on family or attendance, but the fact that You have personally trusted that Jesus has died for your sins and you believe he rose from the dead and is God. The local church (a group of Christ followers in a local group, set aside to worship God - the church is not the building, but the people) is supposed to be a reflection of the universal church. Without this, you shouldn't and can't become a member of a local church because you haven't become part of Jesus' family, the universal church. Question: Have I trusted Jesus as my Savior? 2. MEMBERSHIP NEEDS TO BE A PERSONAL COMMITMENT. Because you need to personally trust Jesus, you need to personally make a commitment to the local church. It should not be something someone else forces you into or something you do to try to fit in. You need to know what you are doing and be willing to do it. As a parent, you should be very cautious of this. We want to encourage our children to become members if they know Jesus and can understand what they are doing. The thing parents have to be careful of is unintentionally or intentionally forcing their teenager to become a member. This needs to be their decision because their personal relationship with Jesus is not dependent or conditioned upon you, but on Jesus (1 Tim 2:5, Gal. 3:28). Question: Am I doing this willingly? 3. BAPTISM IS ASSUMED FOR LOCAL CHURCH MEMBERSHIP. Matt 28:19, Acts 2:38. Different Christians and churches have different views on the timing of Baptism, but all Christian's should be baptized like Jesus commands. As a parent, if you haven't been baptized, you could be an example for your teen by obeying Jesus and taking the plunge. Question: Have I been baptized? Am I willing to take the plunge? 4. 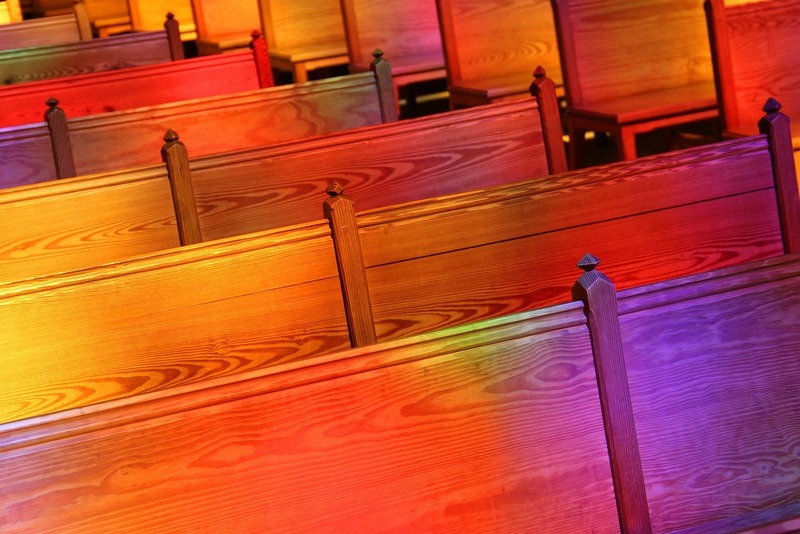 THE BIBLE ASSUMES THAT ALL CHRISTIANS ARE COMMITTED TO A LOCAL CHURCH. Acts 2:47 shares that as people trusted Christ, God added them to the church. Every letter in the New Testament assumes that if you are a Christian you are counted as part of a local church (2 Cor. 1:1, Eph. 1:1, etc...). Most of the time as Christians, we let distractions and how we feel about the church get in the way of what God clearly shows we should be a committed part of, the local church. If you are a Christian who is a parent of a teenager, set the example for them and commit to a local body. Question: What is keeping me from committing to a local church? 5. THE LOCAL CHURCH IS HERE TO HELP YOU BECOME A FULLY DEVOTED FOLLOWER OF JESUS. God put the Local Church here as a tool to help you become fully devoted to Him. This is His ultimate goal for your life (Col. 1:28-29), that we can be Christians that grow on our own and in connection with the church. Part of being fully devoted is giving, serving, growing to be fully mature in your relationship with God (2 Cor. 9:7, Rom. 12:1-2, 1 Pet. 4:10, Eph. 4:11-13) and the church is there to help you down that path. Transformation of our life is the goal, not just attaining more knowledge or just doing good things. Heb. 13:7 and Matt. 18 talk about the idea that we should support the leaders of the church. We should willingly place ourselves under their authority so we can grow, so they can grow, and so we can encourage the rest of the church. We are giving the church (under God's authority) the authority to speak into our lives and to hold us accountable with our walk with God. That means you give them permission to lovingly speak and work with you to help you correct sin, restore you to full health. Question: Am I willing to be fully devoted to Jesus? 6. THE CHURCH IS DESIGNED TO HELP YOU HAVE TRUE COMMUNITY WITH OTHER CHRISTIANS AND GOD. We are supposed to be involved in each others lives, and God put the church there as a community, unified under what Jesus has done, that helps you connect to God and to each other. Heb 10:25 shares that we can love each other properly when we consistently gather and are part of each other's lives together. Heb. 3:12-13 tells us that we encourage each other to keep to the truth and not to fall in sin. The Bible is full of commands that end with "One Another" as you have just seen with 2 examples above. Being part of a church helps you to obey those commands and gives you an avenue to be part of a family where others can help you in your walk with God and you can help them. Question: Am I willing to be a part of a community? Being part of a local church shows your friends, neighbors, family, and everyone you come in contact with who you stand with and who is your savior (John 17:23). As Christians we are called to share this hope that we have in Jesus (1 Pet. 3:15) and shine as a light (Matt. 5:14-16) to the world. Being a member of a church is one visible piece of this, but we are called to participate in the churches full mission: to lead people to Jesus and make disciples (Matt. 28:19-20). We are called to grow in our ability to do this and being part of a church helps us carry this out. Question: Am I willing to show the world that I stand with Jesus? As part of the membership process, our church has the people interested in membership meet with the elders of the church for a conversation. The elders just want to see if the people considering membership are truly genuine about this and want to make sure that they truly know what they are getting into (don't worry, it is not an inquisition, they just want to get to know you more). After the people considering membership meet with them, the elders will vote to decide whether to formally accept them as members of our church. As parents, we can't control our kids hearts (nor should we), but we can model for them what it is like to be a fully devoted follower of Jesus. God tends to use natural means like that, to stir the hearts our teens so they will want to be fully devoted to Jesus themselves. Hopefully this helps you in helping your teen to decide whether they want to commit to our local church. If you or your teen have more questions or your teen (or you for that matter) would like to take a step towards this, Contact Pastor Ian and he will do his best to help you in your journey with God.